This pasta dish is packed with flavor! Cajun seasoned chicken and sausage in a creamy Parmesan sauce, what’s not to love?! 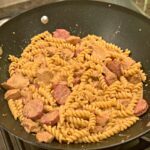 My hubby and I are big fans of Cajun seasoning! Our favorite is definitely Slap Ya Mama, but we also change things up and use Chupacabra Cajun Blend. Last week, I was in the mood for pasta, and wanted something with a little heat to it. Since I have three kids, I have to hold myself back on the seasoning, but can still kick it up a bit. I pulled some smoked sausage out, as well as some chicken breasts and began thinking of which direction I wanted to go in. I decided Cajun after browsing my spice rack and boy am I glad I did. The meat was flavorful, but once combined with the Parmesan cream sauce, it was a huge hit! My kids happily ate their portions up and we had enough again for dinner the next night! The meal even reheated perfectly, which is rare since pasta has a tendency of drying out when reheated! 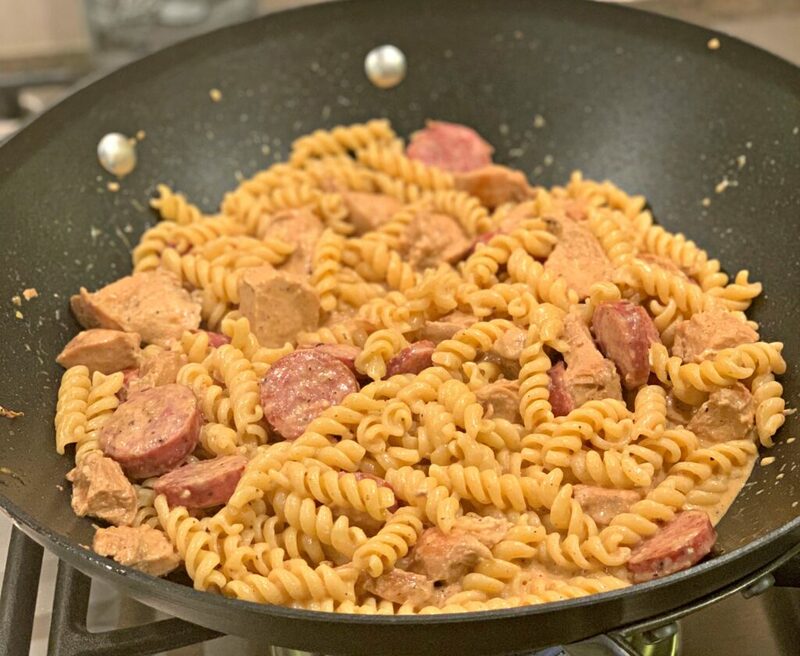 I seasoned the chicken and sausage with Chupacabra Cajun Blend as its not too spicy. I then added Slap Ya Mama to the sauce itself as to add a bit of heat. As I mentioned above, my three kids enjoyed this dinner, so following the amounts below, it will be family friendly! If your family loves heat, feel free to add a bit more seasoning! I used rotini for mine because that is what I had on hand. However, you can use whichever pasta shape you prefer though! Browse through your pantry and use up some of those half empty boxes of pasta. You have those too, right?! Haha! Enjoy and be sure to sign up for my free newsletter below! This pasta dish is packed with flavor! 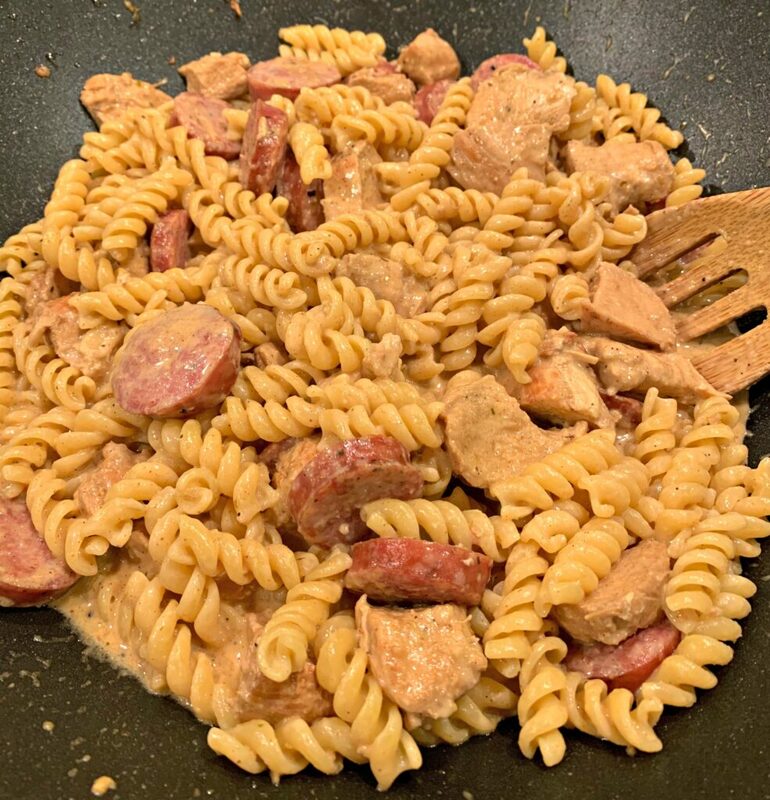 Cajun seasoned chicken and sausage in a creamy Parmesan sauce, what's not to love?! Boil pasta according to box directions. Drain and set aside. Melt 1 tbsp butter in skillet over medium high heat. Add in the chicken and season with desired amount of salt/pepper, and Cajun seasoning. Once cooked through, remove from heat and place on plate. Add sausage to skillet and cook over medium high heat for about 3 minutes. Remove and place on plate with chicken. Add remaining 1 tbsp butter to skillet and allow to melt. Add the garlic and cook for about 3-4 minutes, or until garlic is slightly browned. Pour in the chicken broth, Worcestershire sauce, and heavy cream. Bring to a light simmer. Sprinkle Cajun seasoning, Paprika, and garlic powder. Mix into sauce. Add the Parmesan and whisk to combine thoroughly. 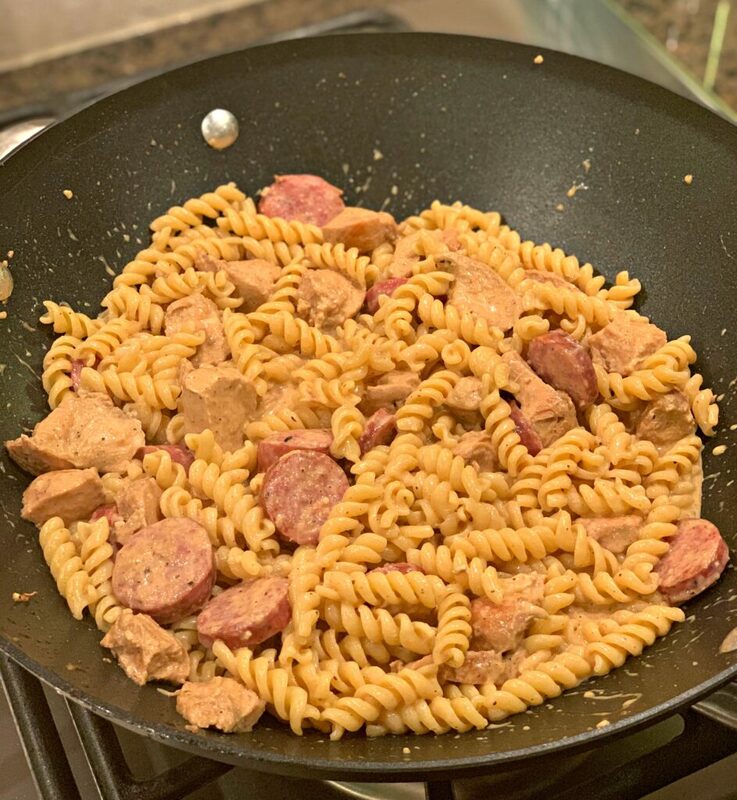 Toss the cooked chicken and sausage into the sauce, followed by the cooked pasta. Stir to incorporate fully. Serve immediately!